Being a little concern about fitness recently, plus the current trend (yay), I supported this project on Pozible around August. After a long wait, it is finally here! 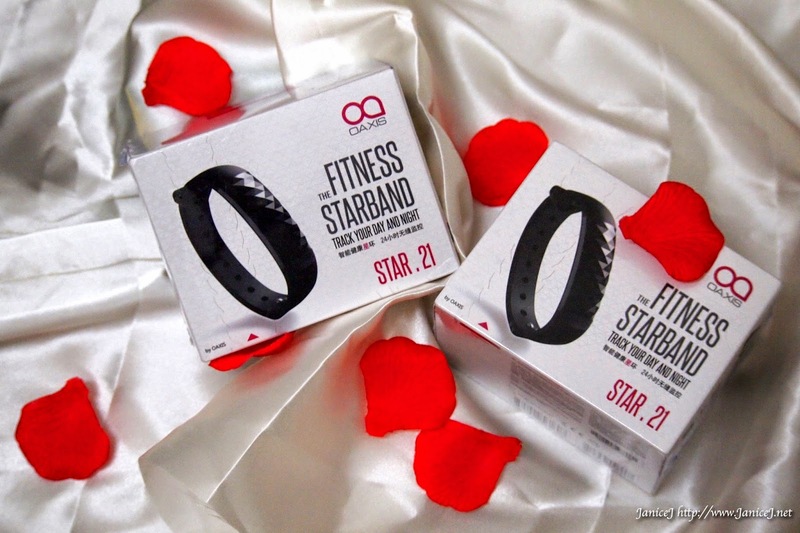 I got myself the Je t'aime set, which includes two bands in rose red and black. 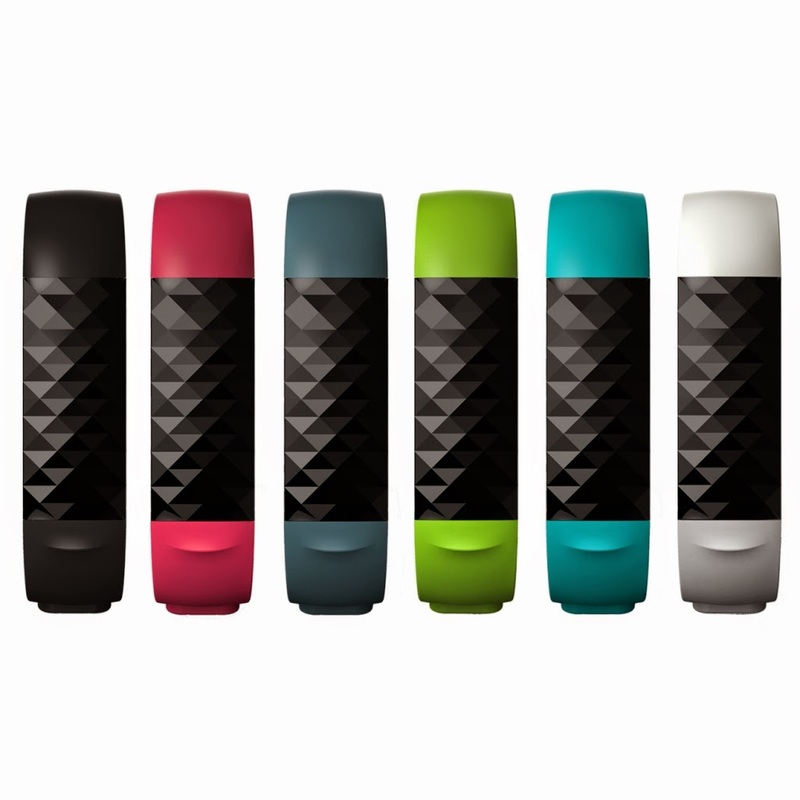 Other colours selection includes Black, Rose Red, Sky Blue, Grass Green, Berlin Blue and White. Which colour do you like? I think I love the black one more! But somehow I got myself the Rose Red one. 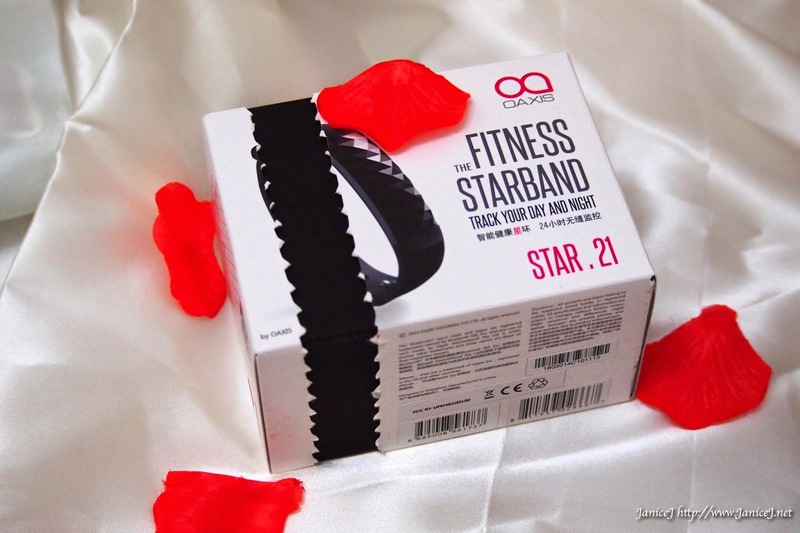 Star 21 fitness band is by Oasis and it looks pretty even on the packaging. I love how they emphasises on small details here. Removing the white cardboard box there is this expensive looking black box inside. It feels.. quite good on touch. 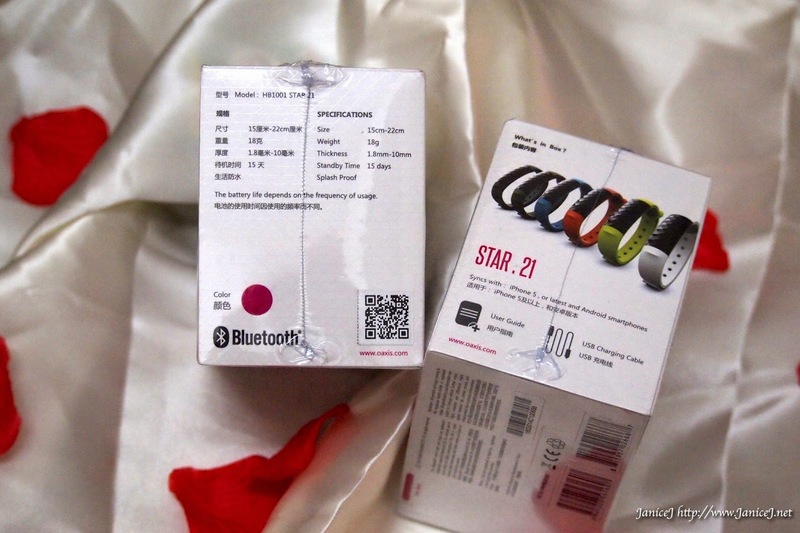 On the opening side of the box there is a matching sticker sealing the products of the same colour. Adacadabra. Pretty isn't it? There's horoscopes' stars arrangement all around the inner side of the box. Another layer with apps download info and the set up instruction. 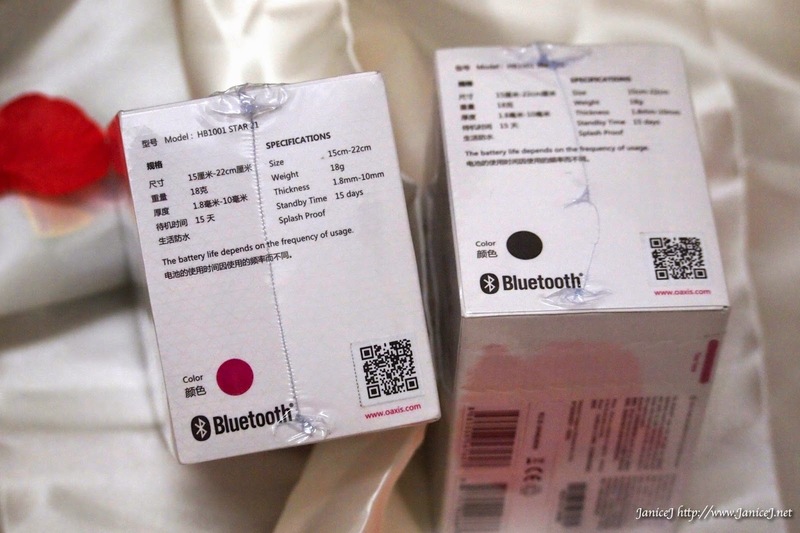 It stores 7 days data (if you did not sycn it with Bluetooth in your phone) and has 15days battery life. Last layer contains the micro usb cable for charging. Now I wear it everyday (even in the shower! ), and often being annoyed by the sleep alarm. However, I kinda get used to it. Also, trying to achieve my journey target day by day. 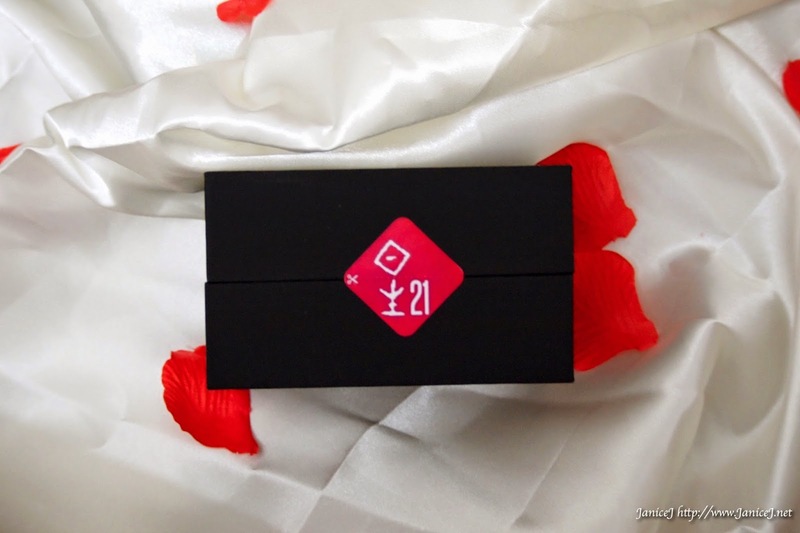 It will be in the market soon retailing at about USD129. Check out Oasis Official Website. 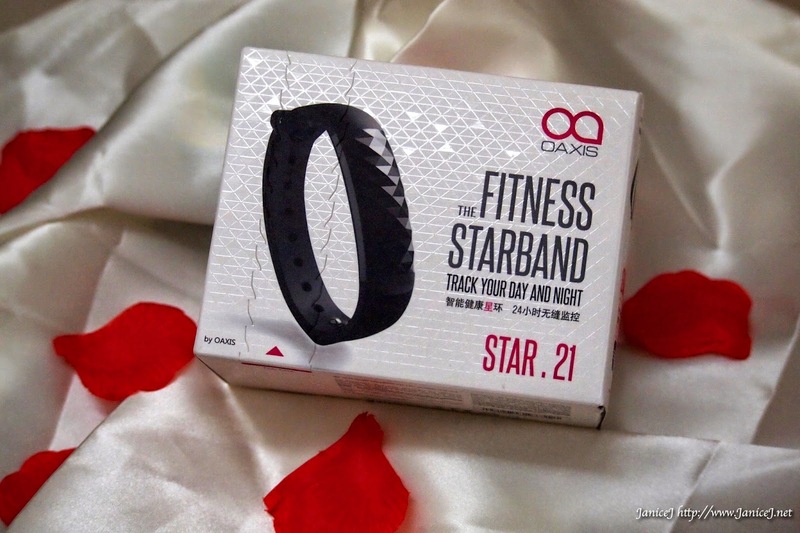 Anyone eyeing any sport band(or apple watch?)? Do you like the one with phone and like camera? I don't know but I don't like it! 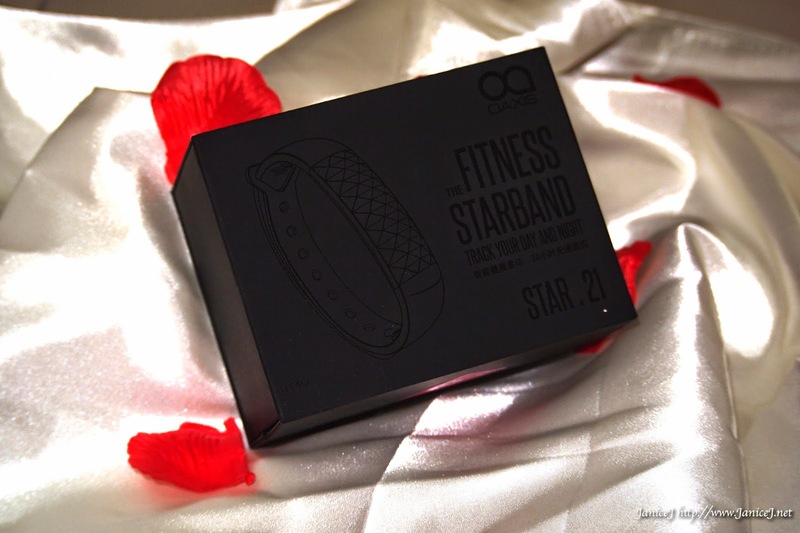 For those who need some fashion accessories + simple sport band design, get this!